Have you ever thought about walking into a party or a crowded restaurant carrying a Chanel purse or handbag? Can you imagine the envious looks from other women – the ones who have always wanted such a classy, luxury handbag? But Chanel bags cost so much. How can you ever justify such an expense? Even if you have ever considered owning a Chanel bag, you most probably convinced yourself out of buying it because you know deep down that there are better places for you to use your money. Traditionally, we frown about such a purchase because it is ridiculously expensive for just a bag. There are many other cheaper alternatives out there. This is simply an indulgence. Why would your boyfriend or spouse ever agree to such a luxury? But what if I tell you that purchasing such a luxury bag can actually be a wise investment and that EVERYBODY should own one? You’re not being extravagant. You’re actually being wise and prudent with your money. Instead of showing off – you’ll be investing for the future. Chanel makes quality durable handbags with the finest materials and the best craftsmanship. They are virtually indestructible. While most handbags will start to fall apart with a year of heavy use, a Chanel will stand the test of time. It will never go out of fashion. Chanel hasn’t thrived all these years by following new trends. They make purses that are classics and will still be in style twenty years from now. `You can use it years later and the bag will still turn heads and be the envy of every woman you meet. It'll also be suitable for any important classy event that you are invited to. Without doubt, owning and using a Chanel brings with it emotional benefits because of how it makes you feel. You’ll feel great every time you carry it and it’s appropriate for even the most elegant events. Consider the “Price Per Use” (PPU) of the handbag, which is an estimation of how much you pay each time you use the item. Let’s compare a $3000 Chanel bag with a $300 bag which you buy from a cheaper brand. These $300 bags are not designed for long term heavy daily use. After a while, the zipper may give way or the handle may break. Even worse, it may go out of fashion (imagine the horror!). So let’s say a $300 bag lasts for around 12 months and a $3000 Chanel bag lasts for around 10 years. If you use your bag daily for work etc., a $300 bag will cost $0.82 per day over 12 months. And the $3000 Chanel bag will also cost the same $0.82 per day over 10 years of use, and it'll most likely last longer than that! Another funny thing is how we perceive the luxury bag affects how we use it. Because we know it costs a few thousands, we'll be more careful when we use it. And because of this, the tender loving care we provide the bag also helps the luxury bag last longer. When you buy a handbag at a departmental store, it loses value the moment you leave the store. But the value of a Chanel bag actually appreciates with time. A study showed that the Chanel Medium Classic Flap Bag was just $220 in 1955 when it first launched. By 1990, it was sold for $1,150. In 2016, it costed $4,900. The price increased by 71.92% from 2010 to 2015. From 2010 to 2015, the Chanel Medium Classic Flap Bag has appreciated in value by 71.92%. The researchers also found similar price trends for other Chanel bags. Alright, now that you convinced your partner that you deserve a Chanel bag, before you invest in one, you need to know what you’re looking for and how to make the correct purchase. A knock-off is worthless as an investment and they are not as durable. There are third party authenticators who can validate your purchase for a fee. This will also come in handy when you decide to sell the purse. You’ll have proof it is an authentic Chanel handbag. Every Chanel bag has a serial code inside that can be checked so be sure the paperwork matches the bag you buy. You don’t want it to have stains or rips or noticeable repairs. 3) How many were made? Finding limited edition handbags that were produced in limited quantity will increase the chances of it increasing in value. 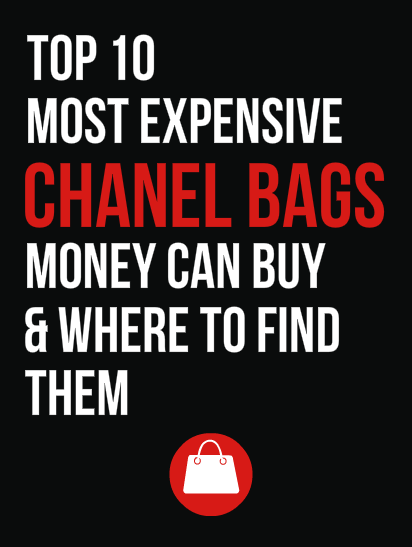 Do your research and learn about the many different Chanel bags available. Rare bags will almost always be more valuable. These will rise in value quicker than new bags that are readily available. If you manage to track down a classic well-maintained handbag from the 20s or 30s you’ll have to pay a chunk of change to make the purchase. But it’s almost guaranteed to go up in value. Bags from the 50s through the 70s are also valuable and sell for around $5,000. Never purchase high quality luxury items from an unknown or unverified seller online. Building a network of sellers will also come in handy in the future if you decide to sell your bag. You’ll already know the people who are buying and selling luxury purses. Luxury handbags are probably not the best way to spend the majority of your investment funds. But they can make a unique way to diversify your portfolio. They make an impressive gift for a girlfriend or wife while also retaining intrinsic value that will likely grow with time. You can kill two birds with one Chanel bag! You show your lady how much you love her while investing in a luxury item that appreciates in value. You can even buy one for your granddaughter that may eventually help pay for her college education! Or if she chooses to, she can use it till she’s grey and old. See? It actually makes perfect sense to buy a Chanel bag. They can be a fun investment that you get to show off while you’re waiting for it to pay off. This is NOT a sponsored post and we are NOT affiliated to Chanel in any way.​ All trademarks of Chanel belong to Chanel. Also contains list of trusted online Chanel sellers (to help you avoid fake Chanel scams). Tim Wayne is the chief writer at Elite Financial Habits. He understands that the rich didn't grow their wealth using magic; it is simply an intelligent combination of mathematics, psychology and economics. Avoid fake & counterfeit Chanels!